Abhay Anjura and Vivek Gupta, who founded Licious, a food tech start-up that delivers fresh meat to consumers’ homes, recently visited the office of angel investor and former Infosys director Mohandas Pai on Millers Road, Bangalore, hoping to raise seed capital. Pai meets everyone who has a reasonable business idea. But his meetings with budding entrepreneurs aren’t exactly slap-happy. Indeed, his serious demeanour can be daunting, as he focuses on only two things: the potential of the business proposition, and the entrepreneur’s belief in making it succeed. Once he is convinced about an idea, he backs it even if it means doing so in his personal capacity — as in the case of Licious — and not through Aarin Capital, the venture capital fund he co-founded. “Many startups will fail, but those that survive will make an impact on Indian society,” says Pai, who has invested in around nine startups in his personal capacity. Through Aarin, he has invested in another dozen emerging businesses. And he’s not the only one with a burgeoning portfolio of startup investments. Many corporate honchos who have been busy building the businesses that they headed are now increasingly involved in fostering entrepreneurship. They are venturing into an area that has so far been the preserve of risk capital funds such as angels and early-stage investors. Their involvement has given shape to what is effectively a new asset class, one that is revolutionising the new entrepreneurial India. Another Infosys czar, its co-founder Nandan Nilekani, was in the news recently when he made a personal investment in Bangalore-based Mubble Networks, a tech startup founded in 2013. Its co-founders are three IIT friends – Ashwin Ramaswamy, Pranav Jha and Raghvendra Varma. Mubble is an app that gives prepaid mobile users live data about their accounts. The startup raised its first round of capital informally, through friends and family. “In our initial days, when we sought comments and feedback from our close friends in corporate India, a few of them were so convinced about the idea that they instantly decided to fund us,” says Ramaswamy. It helped Mubble rope in talent and advertise on social media. With new startups mushrooming every week, the contours of investment in the country have undergone a makeover in the last two years. This year, the total number of venture capital deals surpassed the total number of private equity deals. In the first half of 2015 alone, as many as 363 venture capital deals were sealed – more than three times the number of private equity deals, which stood at 99, according to Grant Thornton. Traditionally, in terms of deal size, venture funding is smaller than private equity funding. The data for the period shows that total venture funding was $1.9 billion, compared to $5.1 billion pumped in by private equity funds. But it is this spurt in ideas that is increasingly attracting investment not only from the venture capital community but also from corporate executives. Until some time ago, it was just tycoons like Ratan Tata, Chairman Emeritus of Tata Sons, who were reported to be allocating some of their investible surplus to backing early-stage ventures. But in the current dynamic entrepreneurial landscape, prominent CEOs and senior executives, and sometimes even mid-level professionals, are turning into serial investors and parking their personal wealth in startups. For instance, H.R. Srinivasan, Managing Director of Take Solutions, has built a Rs 800-crore software products company over 12 years, and is now giving back to support innovative ideas. He has funded more than 10 startups, and even infused $500,000 in just ideas. “My job is to support ideas, and not trouble them over success,” he says. He adds that the best way to build a startup ecosystem is to fund ideas that can have an impact on both businesses and consumers. His portfolio includes InnoWatt, a smart energy firm, research organisation Solaris Pharma, and Spectrum Medics, a data analytics platform. It’s not just corporate veterans – younger entrepreneurs, too, are betting big on startups. Vijay Shekar Sharma, who founded Paytm in 2010, has invested in 32 startups over the past four years. He typically deploys anywhere between Rs 25 lakh and Rs 60 lakh to seed a startup. The big party for startups may lead to a few hangovers later. But until then, top executives are helping new entrepreneurs in terms of both financial support and mentoring. 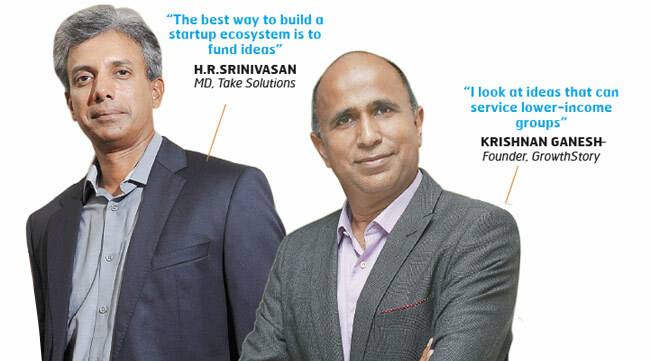 With opportunities rising, more and more senior executives are signing up to startup acceleration platforms such as The Indus Entrepreneurs (Tie) and Indian Angel Network (IAN) to gauge the situation. Besides, such investment is an exciting way for wealthy executives to beef up their retirement plan – one that could prove fantastically lucrative. Ganesh of GrowthStory made profits from the sale of three of his portfolio companies, including online tutoring firm Tutor Vista, which Pearson bought for $127 million in 2011. 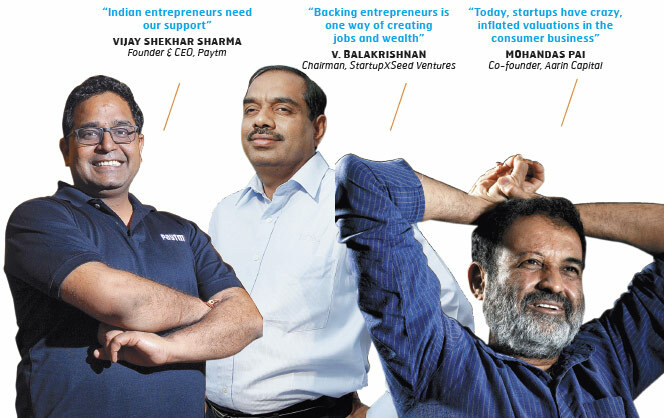 “You have to back entrepreneurs,” Says V. Balakrishnan, Chairman of StartupXSeed Ventures, a Rs 30-crore fund. “This is one way of creating more wealth and more jobs, both equally important for an economy to go forward. I am sure all new-age investors think that way.” He himself has invested in six startups. As for startups, the availability of early-stage funding is crucial. Those that rope in well-known corporate leaders also find it easier to raise money from venture capital funds to scale up their businesses. For example, when Nikesh Arora, President of $70-billion Japanese telecom and internet giant Softbank, invests millions of dollars in a startup, he doesn’t just sign a cheque – he helps lift its valuation, too. So it’s a win-win situation for investors and startups. Marquee investors from the corporate world bring their expertise, managerial skills, and contacts – all significant advantages, compared to angel investors whose roles typically end after funding. And startups give investors an opportunity to participate in emerging technologies and business models, and potentially leverage them in their existing businesses. Raja Lahiri, partner at advisory firm Grant Thornton, says: “Not only do corporate honchos provide money, they also mentor startups and help them scale up… and eventually help them raise money and find potential buyers.” Sectors that typically attract such investments are in sectors such as Internet, mobile, software solutions, and food and beverages. While a handful of India’s super-rich are parking their personal wealth in emerging businesses, others are doing it through angel funding networks, prop funds, or family offices. These include names such as Wipro’s Azim Premji, Arihant Patni of Patni Computers, Dabur’s Anand Burman, and BPL Mobile’s Rajeev Chandrashekhar. 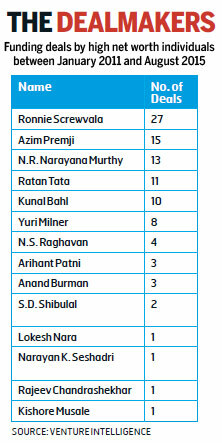 And Infosys alone accounts for many more names, including top bosses such as N.S Raghavan, S.D. Shibulal and, of course co-founder N.R. Narayana Murthy. The game has drawn some international veterans, too. Russian billionaire Yuri Milner recently acquired a small stake in Practo, a rapidly expanding health-care startup. He has invested in his personal capacity as well as through his fund, DST Global, signalling a strong faith in India’s startup ecosystem. Sheng Fu, who founded the $300-million Cheetah Mobile, a mobile security company, recently met with entrepreneurs at 10 startups in Bangalore, and is in the process of investing in a couple of them. He says, “The engineering talent cannot be ignored in India, and their ideas are creating a smartphone ecosystem globally.” The Chinese company is also looking for opportunities in mid-sized IT companies. It is reasonable to expect that many of today’s minnows will be the big fish of corporate India tomorrow. 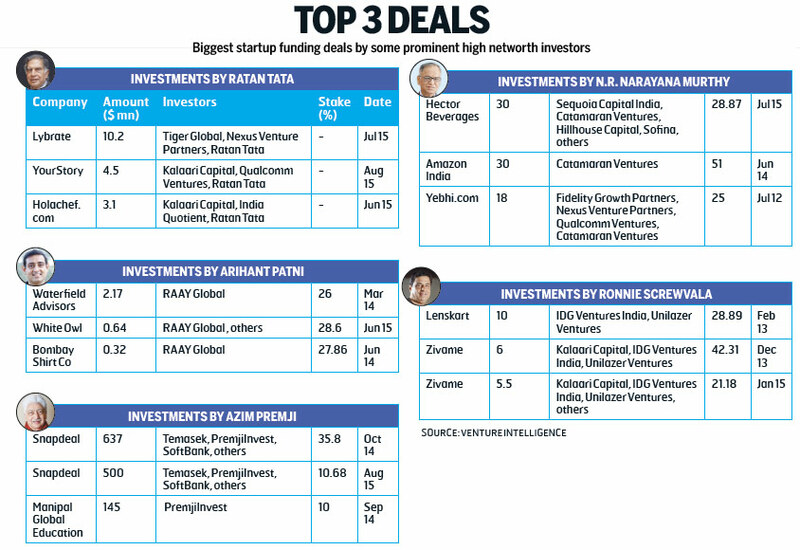 Never before has the Indian startup space seen so much action. Many budding entrepreneurs are looking to ride the domestic consumption wave, and eyeing the immense potential in e-commerce. It is the underpenetration in the sector that is providing opportunities, and that sounds like good news. After all, it means innovation, revenues, jobs, and economic growth. Right? But industry analysts caution that the situation may be not be as rosy as it seems. There are too many startups, and many are ‘copycat startups’, chasing money-making opportunities and leading the boom. In other words, the success of one startup is prompting another to follow the same dream, resulting in fewer original ideas and inflated valuations. Considering that, there is reason to remain cautious about a bubble. Of course, that is not to say that all startups will fail. Some 20 to 30 per cent of ideas are sound, they are the ones that will stand out. “E-commerce companies that will be successful can be classified into two categories,” says M.K. Sinha, managing partner and CEO of IDFC Alternatives, a leading multi-asset class investment manager in the country. He adds that one category is those that address underserved areas, and the other helps extract economic value by improving capacity utilisation of idle assets. India’s e-commerce industry may be in for a shakeup. The challenges that almost all e-commerce ventures face are similar: having healthy margins, being price-competitive, and keeping customer acquisition costs low. While investors – both angels and venture capital funds – are betting big on the sector, they are acutely aware of this question. True, it’s early days. A venture-capital and private-equity investment cycle lasts up to five years. Viable and scalable businesses will last a full cycle, and build a track record of successful realisations. Broadly speaking, if one in 10 were to become a blockbuster and give huge returns, and another one-third ensured that the capital is protected, the purpose of investment would be served. For, this would mean that only the last one-third has failed to take off. For Series A investments from corporate executives, the goal would be rope in venture capital funds to fuel further growth. As the saying goes, the proof of the pudding is in the eating. And it remains to be seen how many investors go through a full investment cycle and exit with a profit.